Tapaculos are some of the hardest birds to classify. Scientists are still not sure exactly how many species there are in this family. New species are being discovered, and in 1997 several species were reclassified. In the past, tapaculos were considered separate species if they had different songs or lived in different environments and did not interbreed. Today genetic and biochemical evidence suggests that some of these classifications may be wrong and the number of tapaculo species may change again. their song. It appears that these birds identify each other and choose their mates by sound rather than sight. This may be one reason why their feathers are dull and why some species look the same, but sound different. 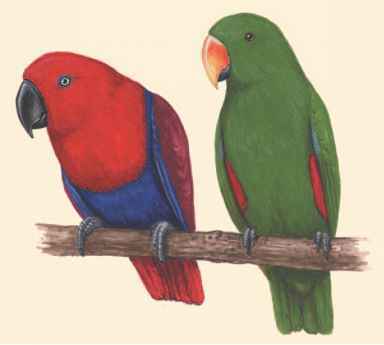 In the tapaculos that have been studied, it appears that birds who mate form permanent pairs, but if one member of the pair dies, another mate is chosen almost immediately. The nests of fewer than half the species of all tapaculos have been observed. Of those that are known, most species build their nests in the ground at the end of tunnels. The birds either dig the tunnels themselves or take over empty animal burrows. Some species use hollow logs instead of digging tunnels. A few build cup nests in low branches. Normally tapaculos lay two or three eggs. In some species both males and females sit on, incubate, the eggs for about two weeks before they hatch. The young birds are naked when they hatch and are cared for by both parents until they are ready to leave the nest several weeks later.